Cross America's mission statement to send a Cross and Path to Salvation to Every Home in America on February 13, 2018. 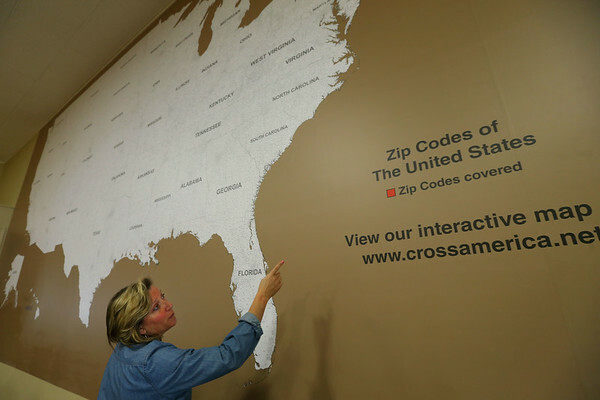 Crystal Sanburn points out the features of a giant map on the wall that outlines every zip code in the US. They will be colored red as they receive crosses.